Money makes the world go round, or so the saying goes. It is not exactly true in most cases, but we can agree that when it comes to businesses, it should at least be considered as one of the most, if not the most consequential aspect of the business. It is, after all, what ultimately supports your bottom line. In practice, this bottom line is represented by your cash flow, which encompasses all of the money that goes into (revenue) as well as out of (expenses) the company. 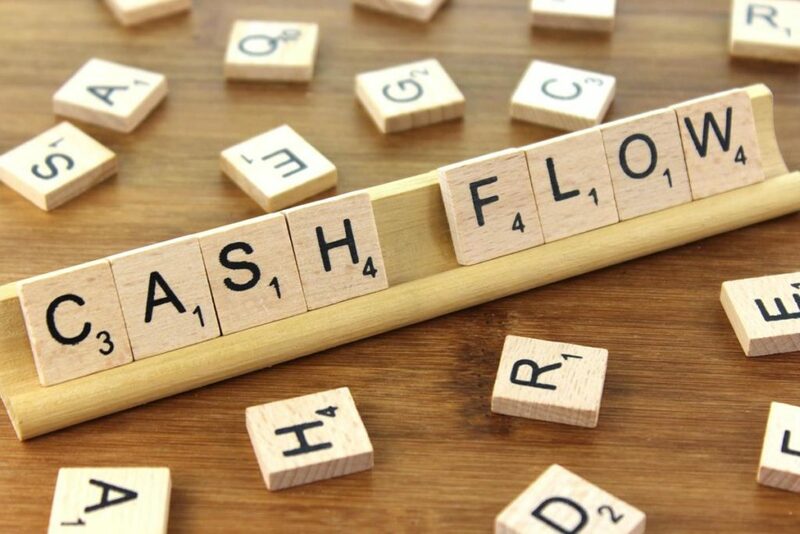 The general goal for any business is simple enough: achieve a positive cash flow, where there is more money entering rather than leaving the company. However, achieving such a goal is not as simple. A lot of smaller or newer businesses can end up with what is known as bad debt – goods or services supplied to a customer that have not been paid for. If bad debts are allowed to accumulate with multiple customers over time, it will deal a strong blow to the business’ revenue. In this article we will discuss a few ways you can do to get your customers to pay the overdue debts on time, maintain a positive cash flow in your business, and secure your bottom line. Before we get to that, however, we should familiarise ourselves with what bad debt is and why it happens in the first place. We have already established that bad debt is any debt that could not be paid by your customer. Adding to this information, there are two common types of bad debts. One of them is called doubtful debt, which is any overdue account that is not likely to be paid off by the debtor. Often this is caused by an outstanding dispute between the vendor and the client, like an unresolved negotiation or a defective product; this can also occur due to bad business practices such as loose credit policies and not doing thorough credit checks on new clients. The other type of bad debt is the default, in which the debtor is absolutely unable to pay back the debt. This happens most commonly in business-to-business transactions where the client’s business suddenly files for bankruptcy due to some poor management or cash flow issues. Convenience is important to any client, whether they be individual people, other businesses, or even you or your own business. After all, nobody wants to have to jump through several hoops just to pay off a bill only to do it all over again the following month, the month after that, and so on. Should that be the case, clients would probably not pay up until you show up to collect it from them – and by that point, they might even bring up the topic of your tedious payment process and outright refuse to pay you until that issue has been resolved. Of course, that is a purely hypothetical situation, but to prevent that and other possible outcomes, make your credit payment process a bit less of a hassle by setting up multiple payment options like credit cards, bank transfers, or online payment methods like PayPal. And while we’re on the topic of PayPal, it might also be a good idea to get your business to start going paperless in its management of its finances. Believe it or not, there are still quite a few businesses out there that still rely on old-school pen and paper to manage and store finances, even though just about everyone has already moved to computers by now. Although having to learn new software can be time-consuming and difficult (especially for older business operators), the benefits that accounting software can bring to a business cannot be overstated. Besides the fact that a computer hard drive can store vast amounts of finance records while taking up less space, modern accounting software often comes with features that can perform calculations and keep track of your finances so you don’t have to. There are various options to choose from, with some offering additional features like an accompanying downloadable phone app that lets you access and edit your business’ financial records from a smartphone or a tablet, and some options are even available for free, with a few extra features able to be unlocked by paying for a premium version. If you aren’t hearing from your clients even after you’ve sent reminder emails and payment invoices, sometimes calling them directly would be a better solution. More often than not, your client may be swamped with mail, both physical and digital, and your invoices may have been buried somehow. Making a direct phone call to your client would serve as both a reminder for the client to pay up and a way for you to keep track of what they might need from you next. However, this approach is a bit like treading on thin ice; there are many customers that hate being called directly, so stay tact when you do decide to phone your clients. Every person is unique in one way or another, and there’s no denying that some of the customers and clients you will encounter as a business owner can be a bit stubborn when it comes to paying off what they owe you. And at times it can get a bit frustrating. Before you do anything though, you have to remember that this is just business, and any move you make should not be emotionally charged. But if you don’t have any better options, you may need to hire a professional debt collection agency. These firms specialise in helping businesses collect their overdue debts quickly and cost efficiently, even if they’ve difficult to contact. If you are looking for a way to recover customer debt and help secure your cash flow, look no further. JMA Credit Control is one of the most trusted debt collection agencies in Australia, with over 50 years of experience serving businesses ranging from small sole proprietorships all the way to large corporations with nationwide reach. If you are interested, give us a call at 1300-588-728 for a free consultation.